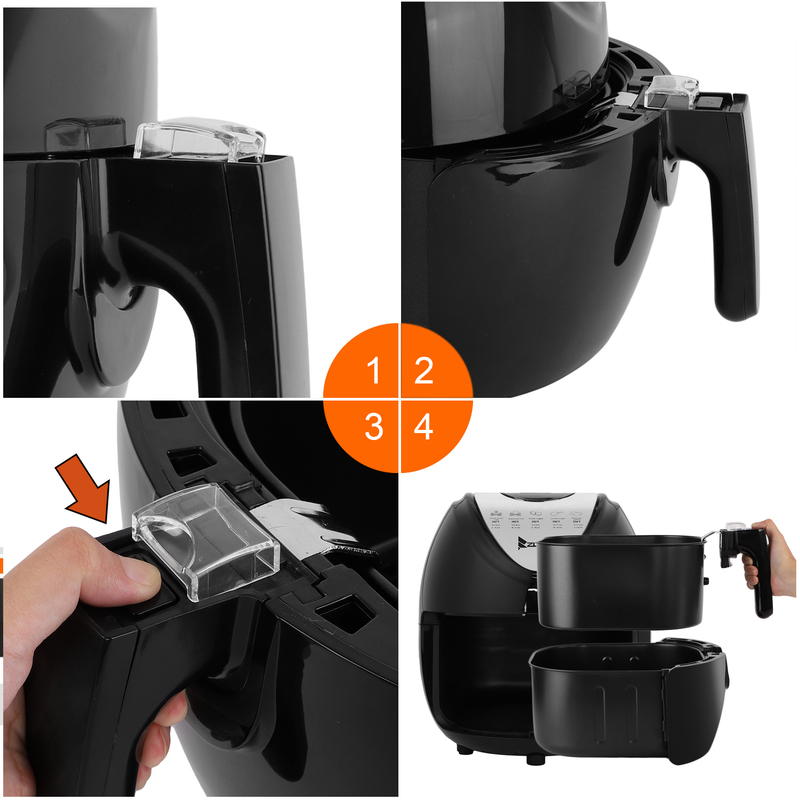 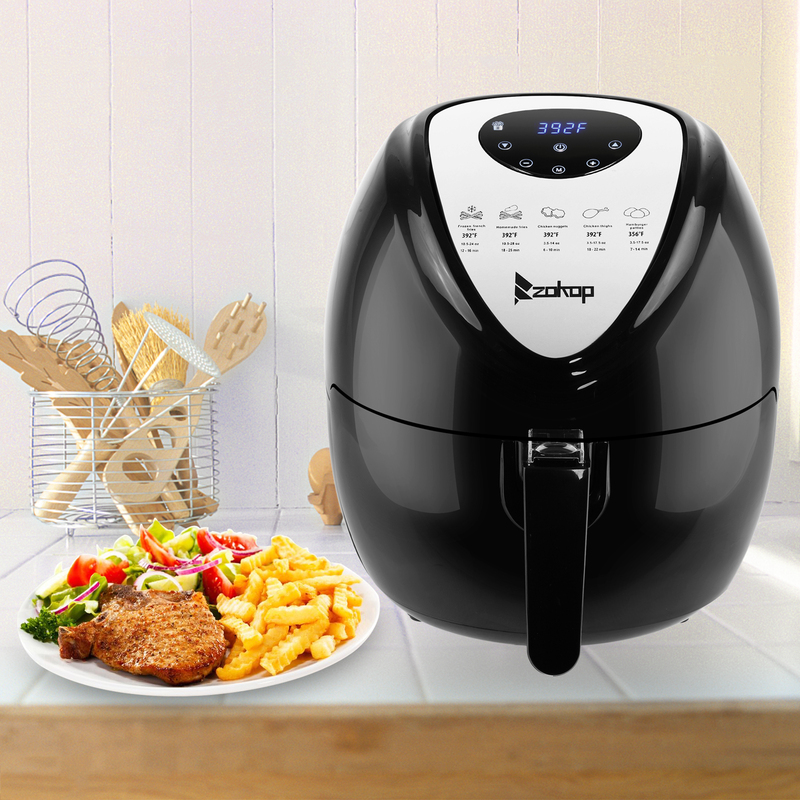 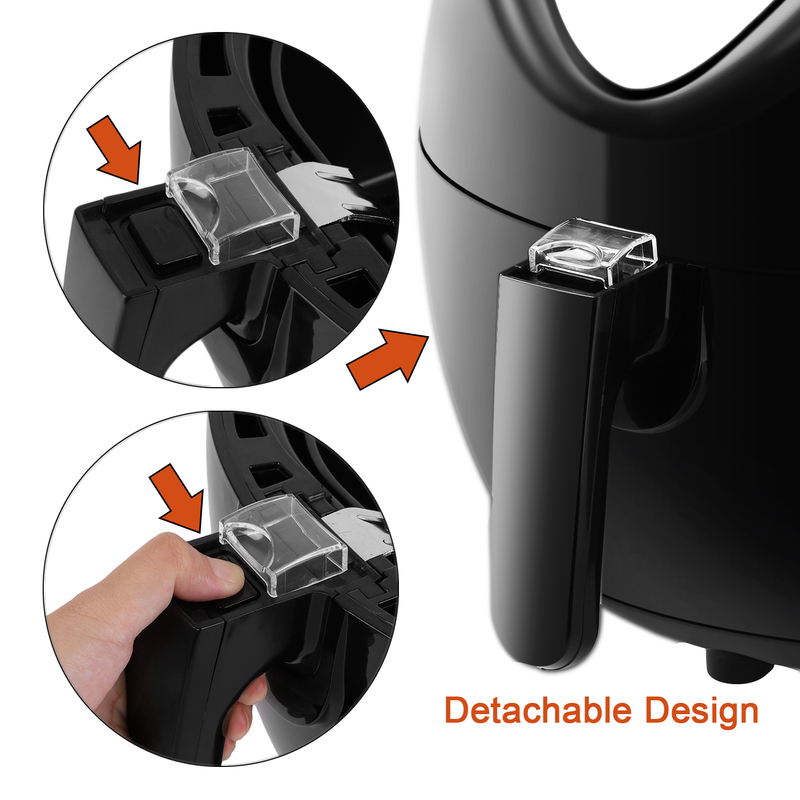 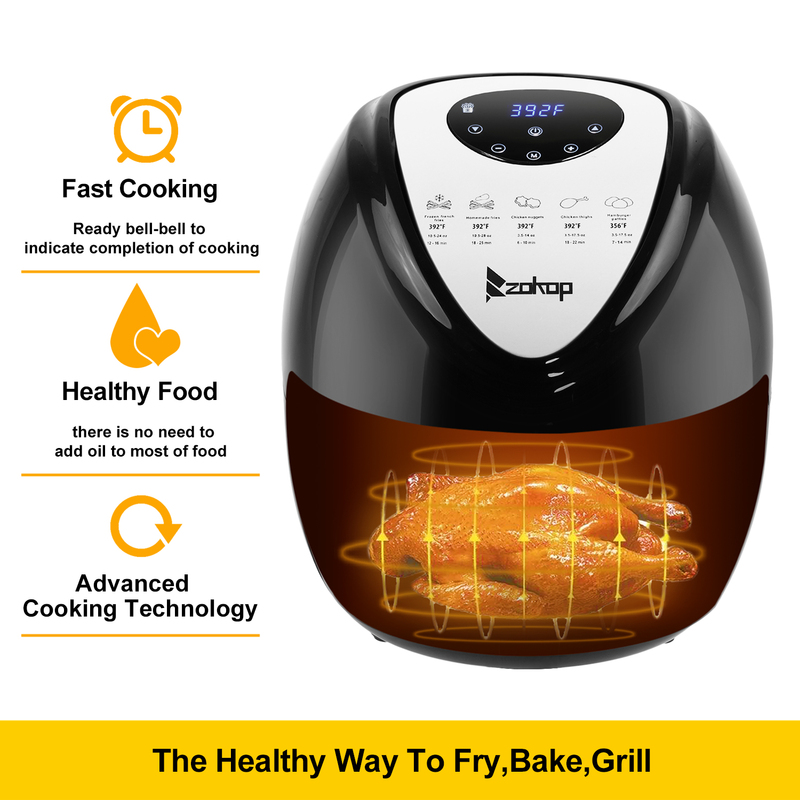 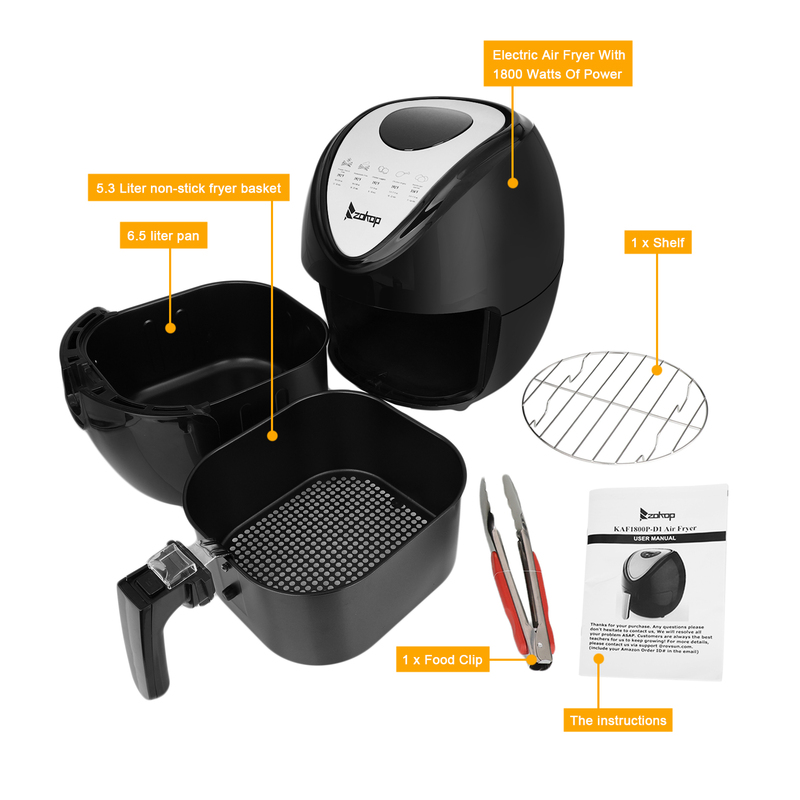 The latest generation of electric Air Fryer allows you to enjoy your favorite fried snacks or foods without the added calories from dunking food in oil.Sleek and modern look with advanced touch screen menu. 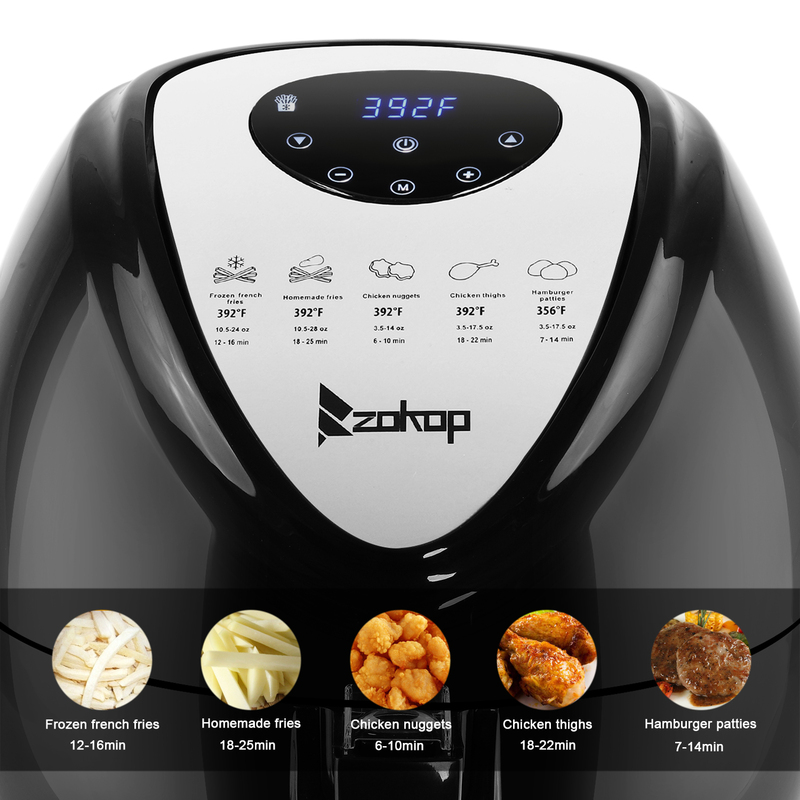 Take the guesswork out of cooking with the built-in touch screen menu featuring 7 cooking presets: French fries, Natural potato, Chicken nuggets, Chicken thighs, Shrimp, Fish, Cake . 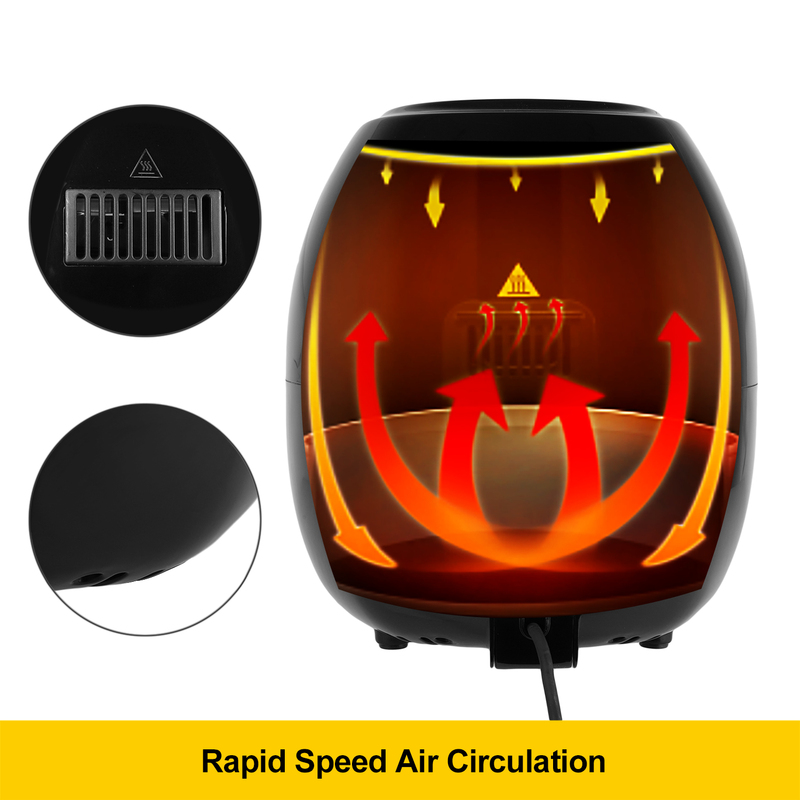 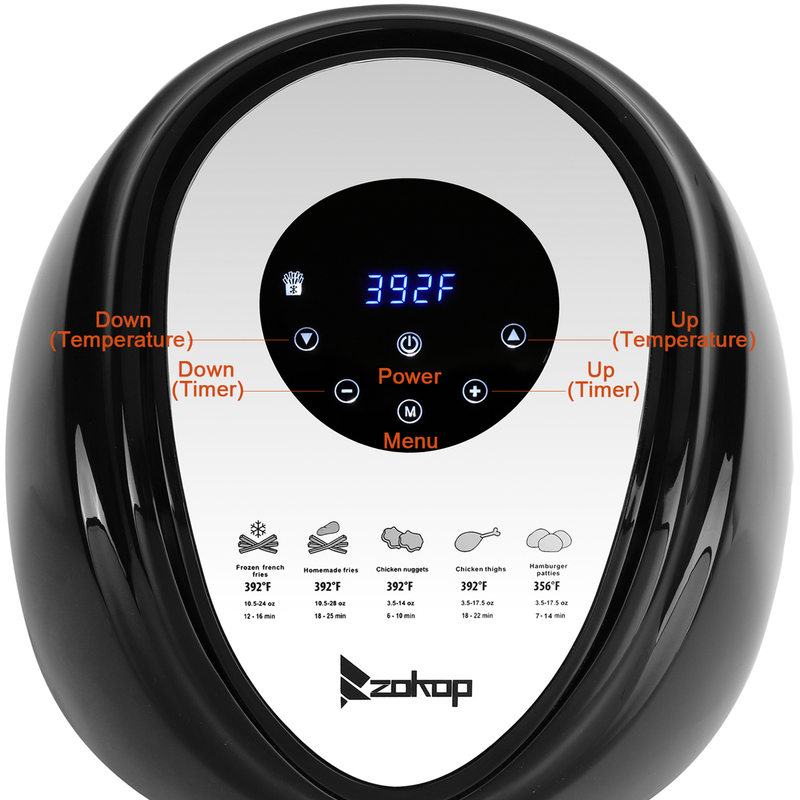 Equipped with a wide temperature range from 140°F to 392°F in 9 degree increments and a cooking timer up to 30 minutes. 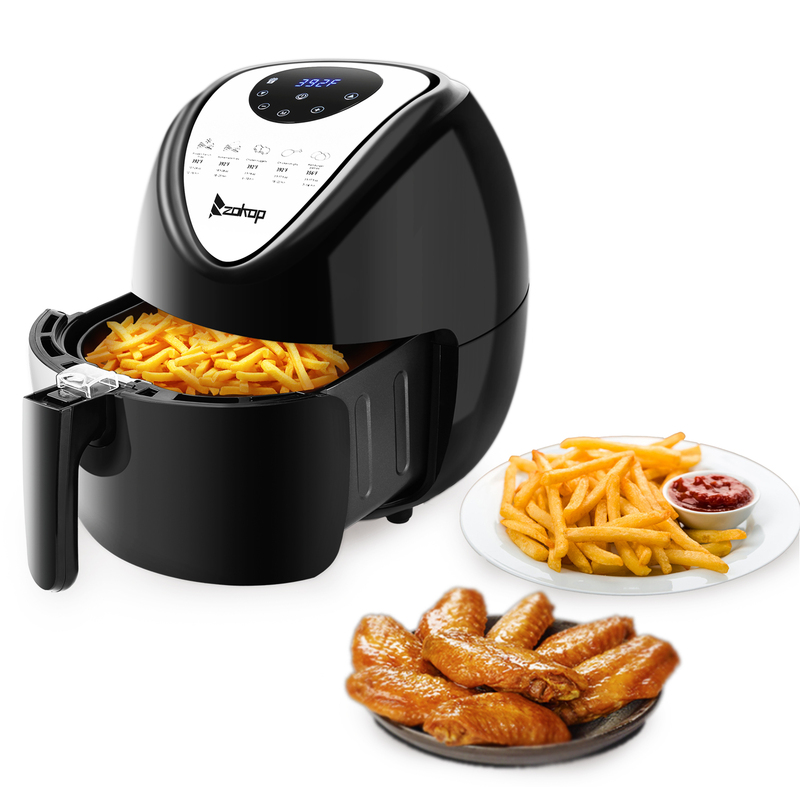 I bought it with a coupon.It can produce super delicious fried chicken wings and cuttlefish pie without a drop of oil. 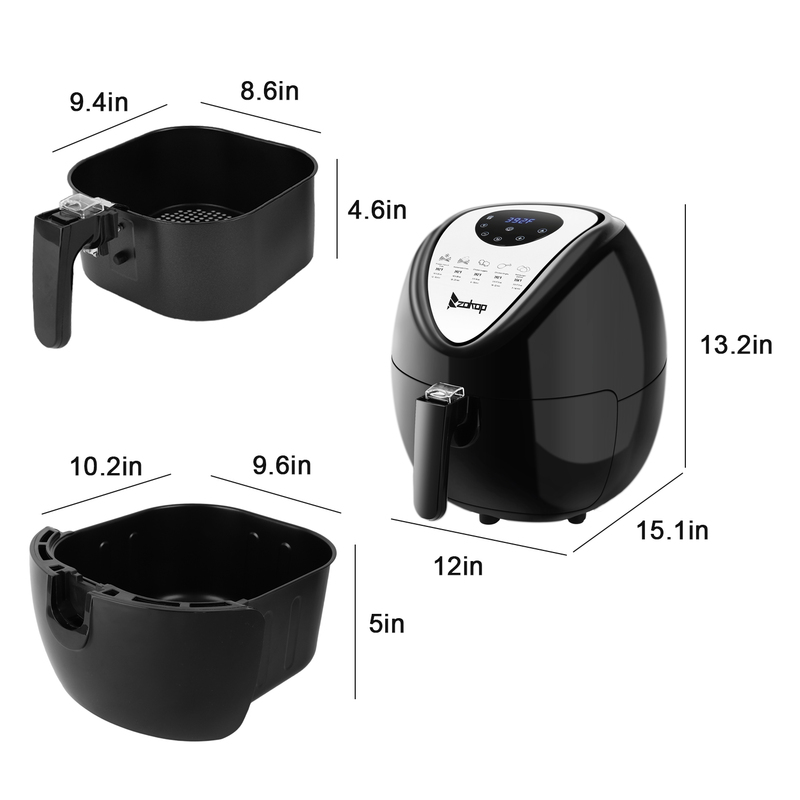 The appearance is very good, the workmanship is meticulous, the body is very heavy, the baking speed is fast, the heating is more uniform, and the purchase is very satisfactory.